a white-skinned African person is seen as a kind of phantom or ghost, who rather than die, will dissolve or disappear with the wind and rain. That begs the question, how much do you know about the struggles of albinos or people considered physically handicapped? Do they have friends? How do they interact with the world? How do they deal especially in extremely conservative societies where perceived irregularities in behaviour and appearance are a recipe for discrimination? Answering such questions is what the Avandu (formerly Urban Design Kings) collective seek to do through their comic, Dunamis. 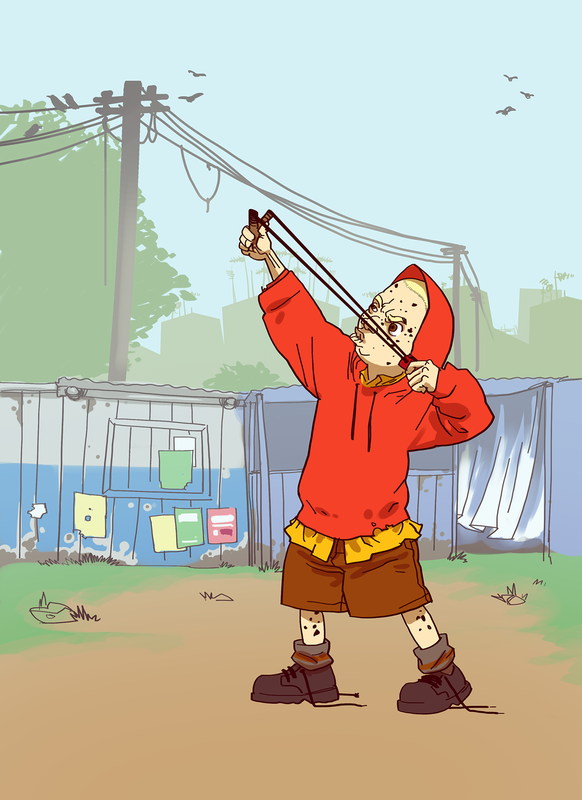 The comic follows the life of Kenny, an albino who, in addition to being a loner and target practice for school bullies thanks to his hereditary lack of hair, skin and eye pigmentation and desire to focus on his education, has to deal with a witch doctor who’s obviously after his body parts for some nefarious purpose. Thanks to his natural speed, Kenny is able to run long enough to catch the attention of four other people, each different somehow by society’s narrow standards. His triumph over the evil witch doctor likely rests in the hands of Kenny’s new allies. How they will fare is a question that’ll be resolved in subsequent issues. Dunamis is a game changer. Presently, all African titles we know or have heard about are based on full-bodied, normal functioning, socially “accepted” protagonists with super abilities. A huge exception that easily comes to mind is Dare Devil which isn’t African. 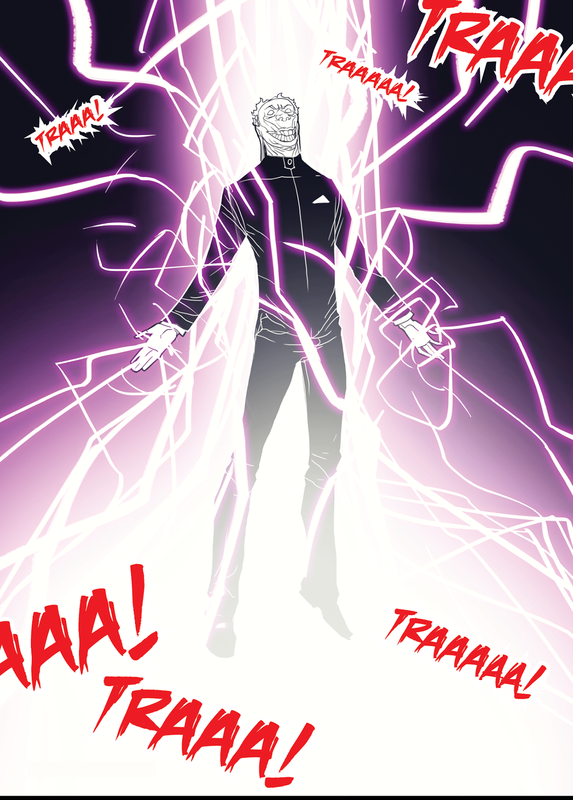 We’re pleased that, the Avandu crew (formerly UDK), a multimedia company out of Kenya are using comics for the powerful tool that it is, to highlight society’s ills. There are too many horror stories of kidnapping, dismemberment and discrimination against people who seem different or are physically handicapped especially albinos across Africa because of perceived supernatural inclinations. It is absurd that such a belief even exists. 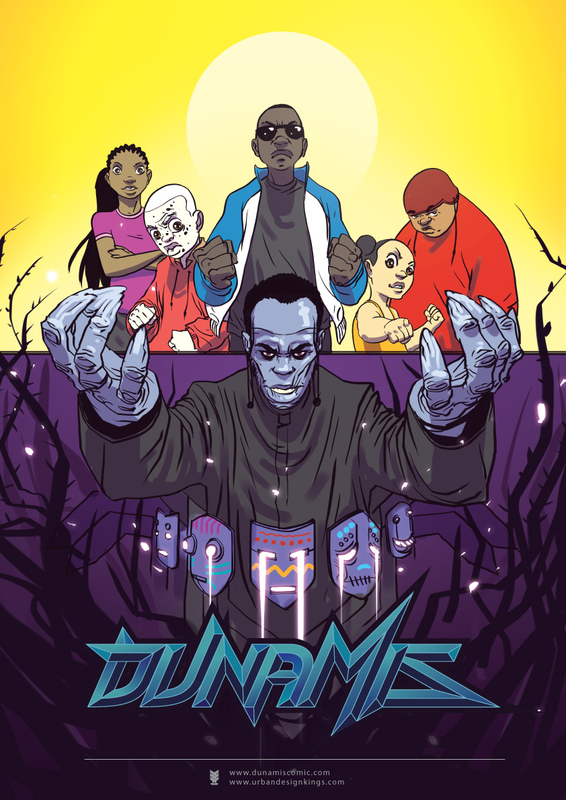 We’re hopeful that Dunamis, which is defined by the creators as “miraculous power, natural ability, power in action”, not only raises awareness on the plight of our marginalized comrades but demystifies magical perceptions and erodes whatever morally selfish justifications people might have about them. We at Squid Mag are totally down to the comic’s vision, “to have a generation that does not discriminate but appreciates the differences among us, making the inclusion of the disabled in all aspects of our society the norm rather than the exception” and are deeply interested in seeing how this comic develops. We especially look forward to how Kenny and his friends deal with constant discrimination, making new friends and embracing who they really are, human beings. Check out the first issue in English or Swahili. Who’s Making Comics in Ghana?